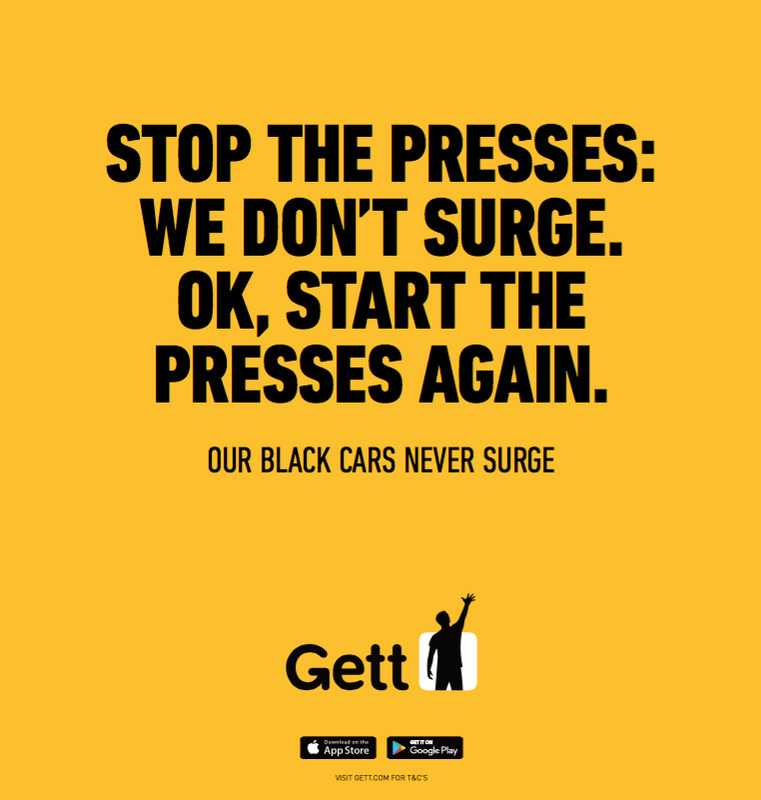 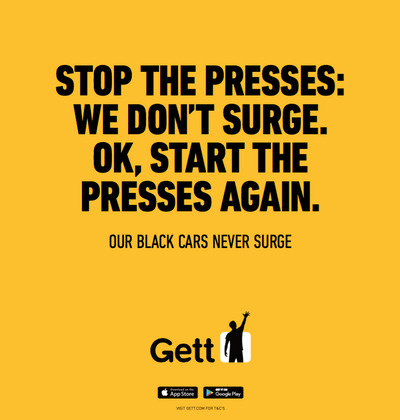 Gett, the black cab app, is launching a billboard campaign in New York that takes direct aim at rival Uber for being too expensive. “You didn’t know what surging meant until you knew what Uber meant,” reads one of the billboards. 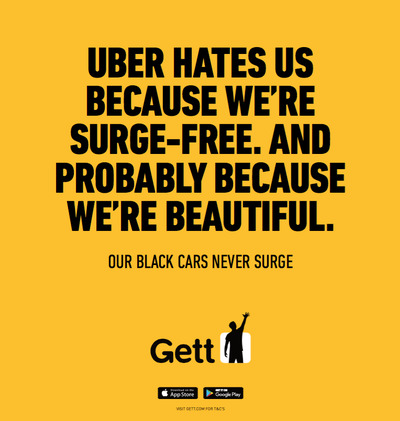 “Uber hates us because we’re surge-free. And probably because we’re beautiful,” reads another. 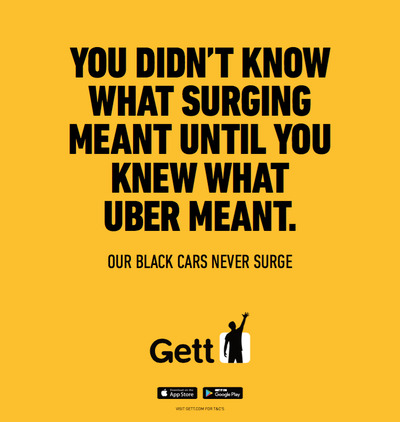 “Surge” pricing refers to the automatic price increase apps like Uber and Lyft charge when taxi demand is high. 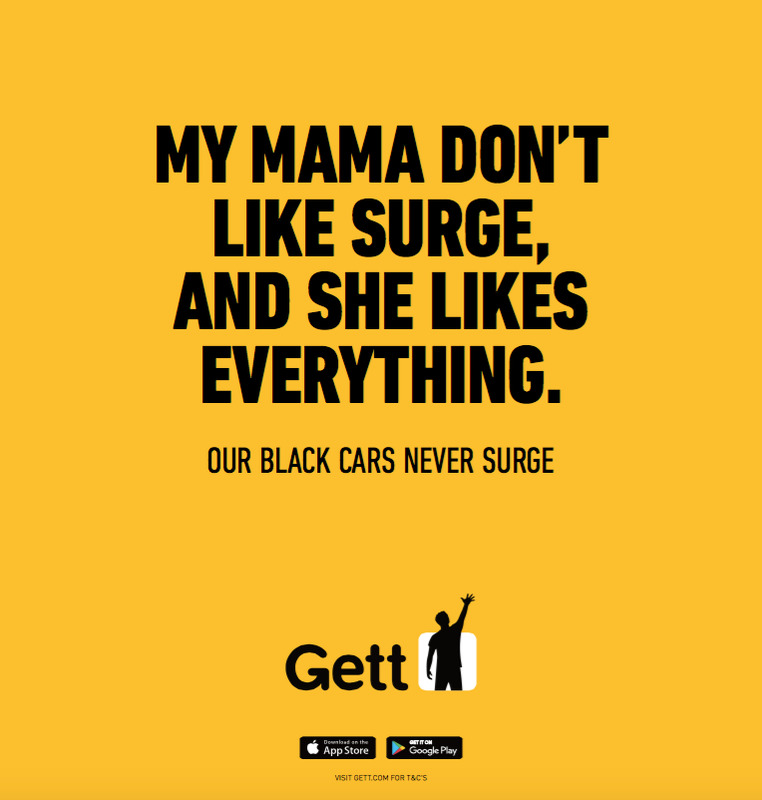 The ads will appear on phone kiosks, bus shelters, digital panels, and almost 600 subway cars. 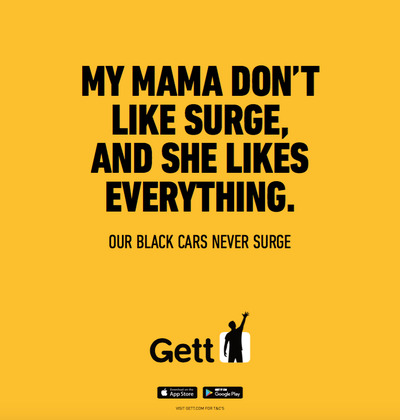 Gett is hoping to drill home the point that, unlike Uber and Lyft, it never foists surge pricing on its users.